Speaking ahead of its Hausmesse, UK & Ireland Business Manager of Pronorm Jason Grinton reports the UK business has year to date sales 12% ahead of its 2017 level. It is despite the company, like many German kitchen furniture manufacturers, being subject to longer lead times. 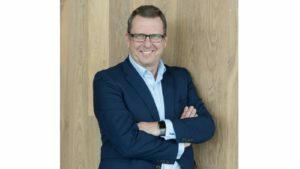 He believes Brexit hasn’t caused consumer confidence to dip for his retail network: “January and February were quiet and typically they can be but since then our UK business has been very buoyant. Grinton continued: “Brexit continues to rumble away but I am not having conversations about the implications of Brexit with retailers on a regular basis. “I think many people have the same conclusion in that, once we know what the ‘deal’ is then we will respond accordingly. “That’s not burying our head in the sand, it’s being pragmatic.